You'll be £19.99 closer to your next £10.00 credit when you purchase Fighting the War on Terror. What's this? Order within the next 6 hours, 18 minutes to get your order processed the next working day! SWAT teams, GSG9, EKO Cobra, SCO 19 – these elite police units are used to dealing with dangerous situations, particularly in the fight against global terrorism. European political-economic journalist and author, Judith Grohmann, is the first outsider to be given access into the world of specialist counter-terrorism units in 16 countries around the globe, including the USA, Russia, Israel, the UK, and many more. Whether performing hostage rescues, subduing barricaded suspects, engaging with heavily-armed criminals or taking part in counter-terrorism operations, her interviews with the men and women concerned explain what their work really involves, their most dangerous missions, and the physical and mental training required for them to perform these high-risk operations, which fall outside the abilities of regular police officers. A truly intimate insight into a closed world. It really puts everything into perspective and makes for a much more entertaining read than you might have been expecting. Recommended. I think this would be a perfect reference book for those looking for inspiration...it was well written and well handled given the sensitive topic. Great summary on the major actions of counter-terrorist (CT) units from the UK, Germany, France, Israel, Russia. If you are interested in how different countries act against terrorists, there is a new book out by Austrian investigative journalist and author Judith Grohmann. 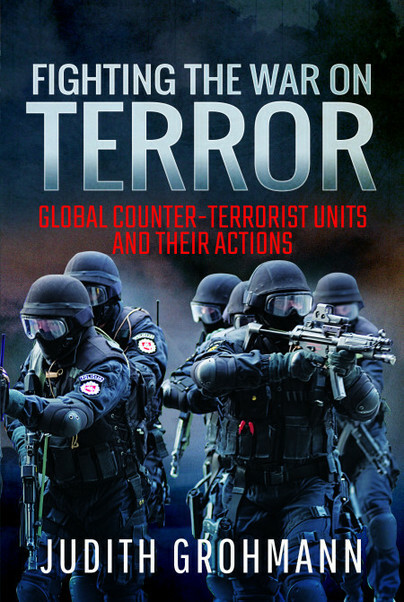 Her book Fighting the War on Terror: Global Counter-terrorist Units and their Actions provides insights into selected actions of counter-terrorism (CT) units in 16 countries. Judith Grohmann was born in Vienna and grew up speaking three different languages. An alumni of the Lycée Français de Vienne, she graduated from the University of Vienna after majoring in Political Science, Journalism and Japanese with a Master´s degree. Judith is a passionate and committed writer, even writing her first newspaper for her school friends at the age of 11. After being appointed managing editor at the Austrian political magazine, 'Profil', she continued to work as an investigative journalist before moving to the newspaper industry and has worked for a multitude of newspapers and magazines across Europe, including 'Le Monde diplomatique', 'Westdeutsche Allgemeine Zeitung', the Swiss Manager magazine 'Bilan' as well as architectural, industrial and political magazines. She became an author in 2005, but also lectures at the Department for Business Law and European Integration at Danube University Krems. Judith lives in Vienna, but is often seen between Paris, London and the South of France.